It’s Molly’s very first day at a new Middle school. She’s nervous. Will she make new friends, good choices, and better grades? Or will fall victim to bullies, peer pressure, and the raised standard of personal hygiene? In need of courage, Molly prays that God would send an angel to guide her. To Molly’s surprise, God sends her Beyonce. 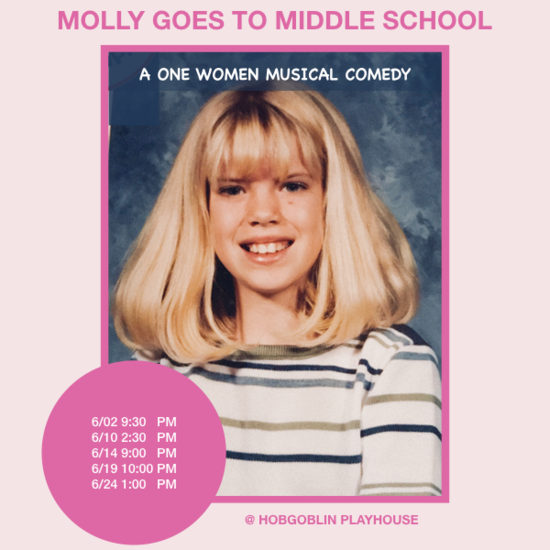 In this One-Woman Musical comedy, empowered by the musical styling and feminine prowess of the Queen B, Molly bravely sets out navigate her new jungle gym world.